Ancient trees are part of our landscape, our art and our history. As living relics of the ‘wild woods’ they have inspired a sense of awe and mystery for thousands of years. Our most renowned native tree – the oak – has for centuries been a symbol of strength and survival. It has been a source of inspiration for culture and folklore since the Druids worshipped in groves of oaks and ancient kings were adorned with crowns of oak leaves. Our oldest oak trees emerged from their acorns one thousand years ago – around the time of the Domesday book. The greatest collection of these trees is in Windsor Great Park and they only survive due to the custodianship provided by Kings and Queens over the centuries. These are some of the largest and most astonishing living things in Britain. Throughout their lifetime they will have witnessed great historical events, and even the transition of our cultural identity and concept of nationhood. The strong role the oak tree plays in our national culture makes it the perfect symbol to catalyse a meaningful and lasting connection between people and nature. 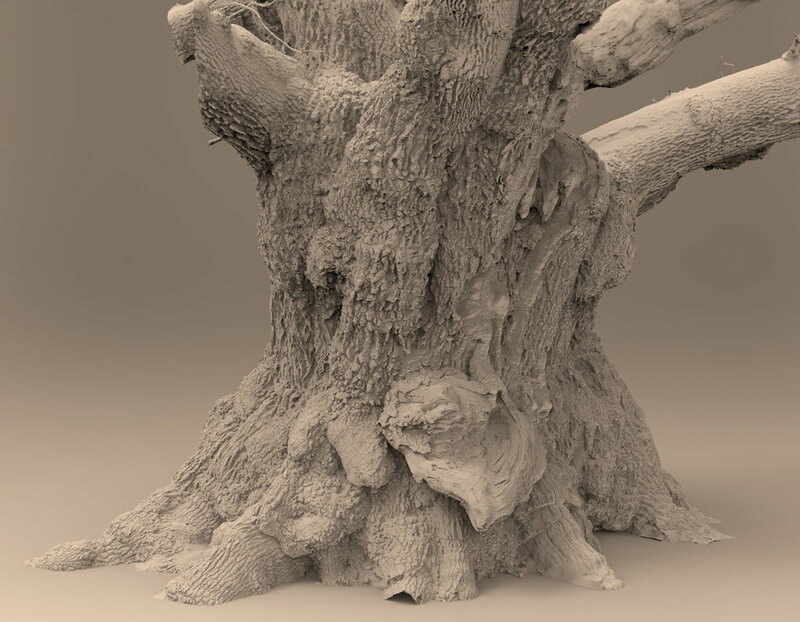 Adam Lowe at Factum Arte has pioneered a series of remarkable techniques using new scanning and 3D printing technology which has made it possible to scan this 900 year old oak tree without ever touching it. Data for the production of the Bronze Oak has already been gathered and processed. 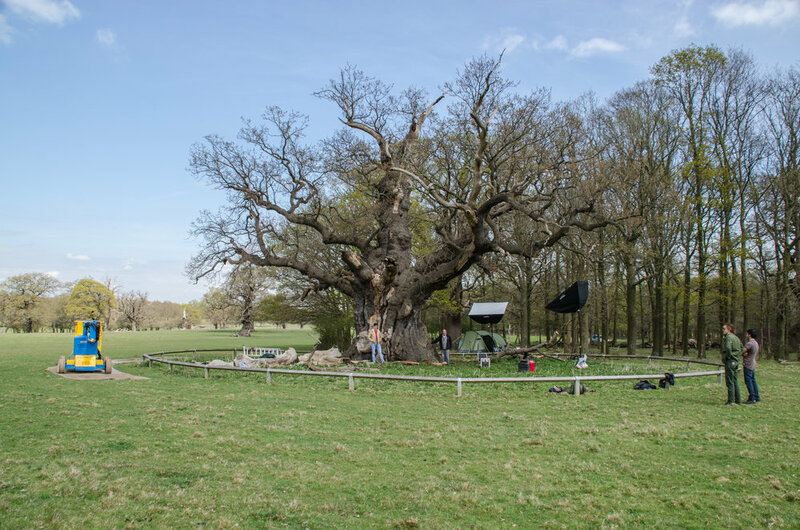 Two methods were used when four members of Factum Arte carried out a photogrammetric recording of the Signing Oak tree at Windsor Great Park over the course of four days in April 2016. Over five thousand 50 MB photographs with a 90% overlap were taken with two Canon 5DSR cameras and two lenses (Canon 100-400 mm. and Sigma 50 mm). The Faro is a mid-range lidar scanner that can record general shapes accurately but cannot record the fine details of the bark and twigs. 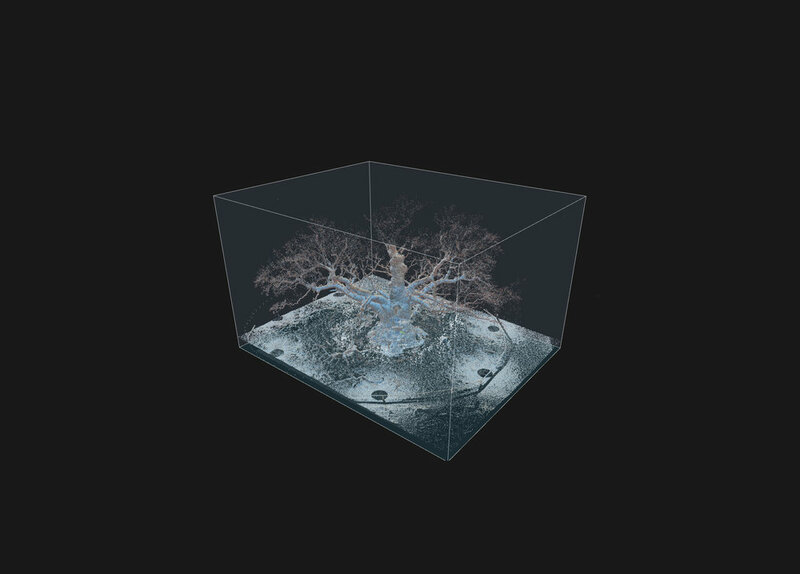 To make the bronze tree Factum will use data from both the Faro and photogrammetry. The 90% overlap between each captured image will allow a team of experts in photogrammetry from Factum Arte to generate an accurate, textured, three-dimensional model using Reality Capture software.